Have you seen GenieGO lately? If you haven’t seen GenieGo lately, you just haven’t seen GenieGo. The hardware is still the same, but the experience is completely different. What started out as a largely unloved little transcoding box has become the hub of an entire entertainment experience. This little device can do a whole lot more than you think! Let’s take a look and compare the 2011 “Nomad” (as it was known then) to today’s GenieGo. 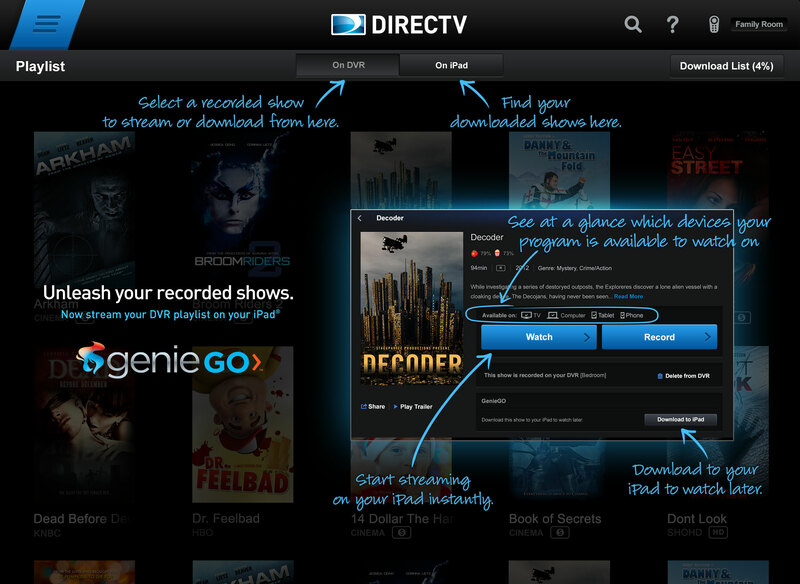 DIRECTV’s Nomad seemed like the answer to a question no one asked back in 2011. It didn’t do much. You had your choice of a PC client or an iPhone one, and that meant watching your programming on a laptop or a tiny screen. Neither was a really good choice, but at least you could take your programming with you when you traveled. The good thing about the whole Nomad/GenieGo product was that in 2011, data plans were still expensive and it was rare that you had a connection good enough for live streaming. The idea was to get your programming onto the device so you could take it with you and not use up any data. 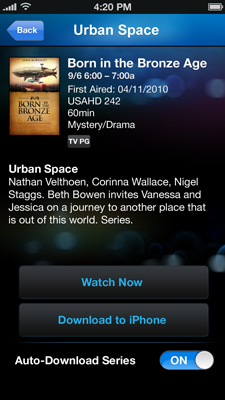 So, that’s what Nomad/GenieGo did, and for a while it did it better than any other device available on DIRECTV. However, the market changed and surprise, surprise, GenieGo changed with it. Without even coming out with a new hardware revision, users got more and more functionality, all for free! New improvements to the GenieGo’s internal software mean that it’s now quite a bit faster than it was when it was released. It’s still not lightning speed but you can get a 2-hour movie on your device in under two hours total. That’s not bad. They also added Series functionality so you can have programs ready to download when you’re ready for them, meaning it only takes about five minutes to get an hour-long program on your device. GenieGo added streaming, first within the home and finally outside the home, meaning that it acts just like a Slingbox allowing you to watch recorded programming almost instantly using your data plan. However, it works better than a Slingbox because someone can be watching one program on the TV while you stream another. That is a major change and for many people it eliminates the need to download to the device. When Nomad originally launched, Apple was the undisputed leader, but now the mobile world is split between iOS and Android. Not only that but the tablet has taken over the world, drawing more and more attention from phones. It took a little while for DIRECTV to get its apps out there, but there are now dedicated apps for iPhone, Android, Mac, and very recently a true iPad experience that is fully integrated into the regular DIRECTV app. Check out GenieGo at SolidSignal.com!